Now that spring time is pending and things are starting to warm up, we’re finding that the opportunities we have to dress up are increasing for the season! In the spring and moving towards summer, all kinds of people in our lives tend to get married, throw engagement parties, have promotion dinners, and graduate at fancy convocations, and we like to look our best whenever we’re invited to join in the fun. As DIY enthusiasts, however, we usually like to add a crafty element, and we do that for our friends and family members whenever we can too! That’s why we recently decided to learn how to make our own neckties. Little did we know, however, that there are so many different ways you can do it! 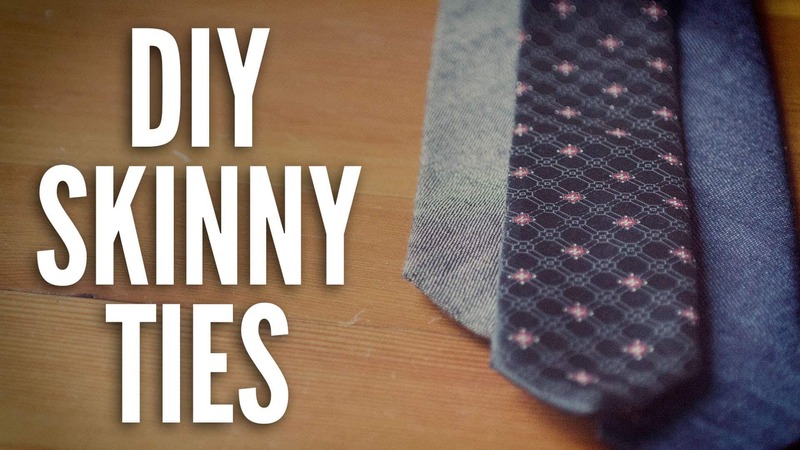 Just in case you’d like to learn how to make your own neckties for yourself or your loved ones too, check out these 15 awesome tutorials for making that happen in all different ways. We love skinny ties. We love them on absolutely anyone. We always have, and we’d be willing to bet that we always will! 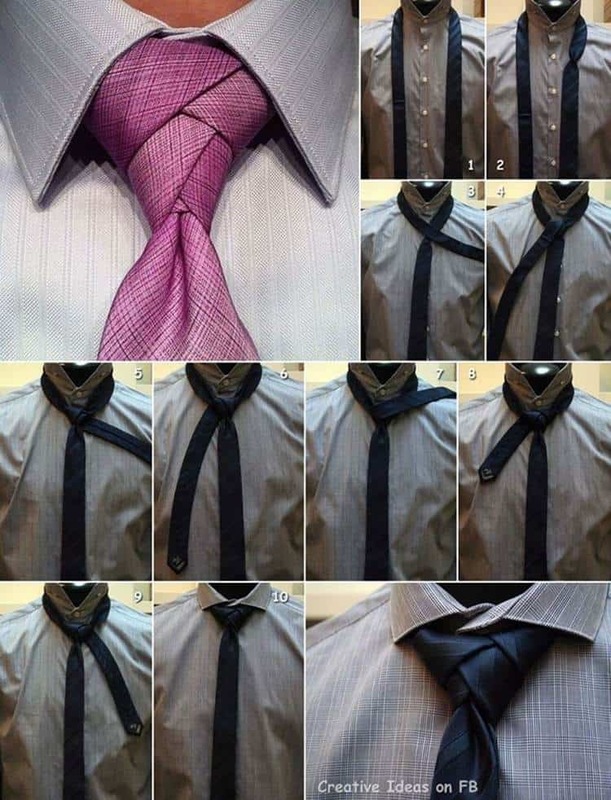 With that said, we also love that there are all kinds of different designs and materials that you can make skinny ties out of that we’re always on the lookout for new tutorials. That’s why this awesome denim skinny ties idea caught our eye so hard! Of course, sewing with denim can be a little bit different an experience than sewing with other materials, so check out The Polished Gent for some great tips! When we get our whole family all dressed up, we don’t like to leave anyone behind the glamour, no matter how young. 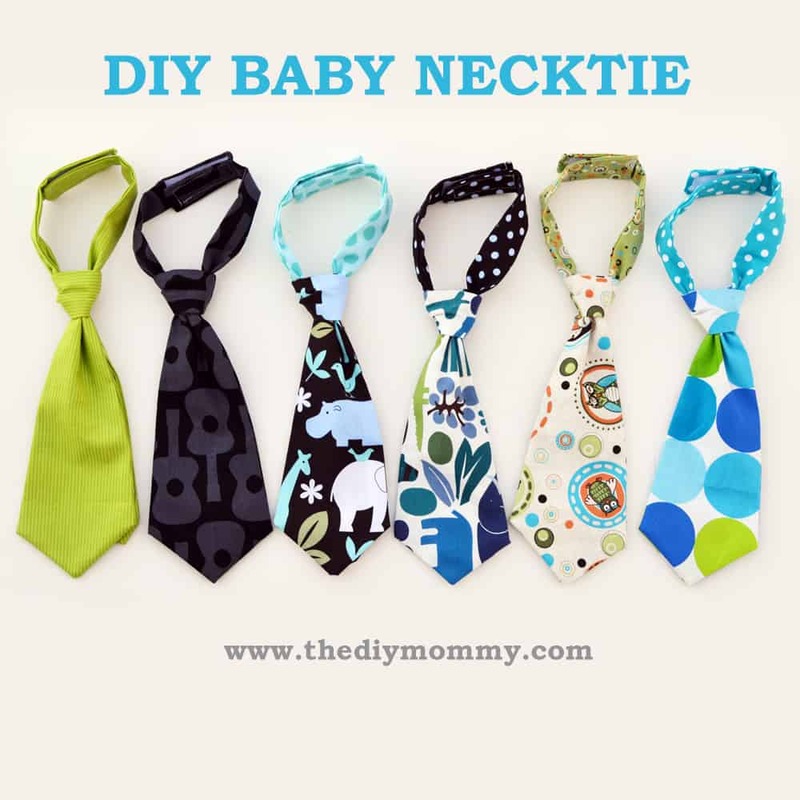 That’s why we were so intent on finding ourselves a baby necktie tutorial! Now, we fully understand that putting a full, proper necktie on a baby isn’t reasonable, so we were pretty pleased to learn how to make a miniature version that uses Velcro to stay on and be taken off. Get the full details on The DIY Mommy! 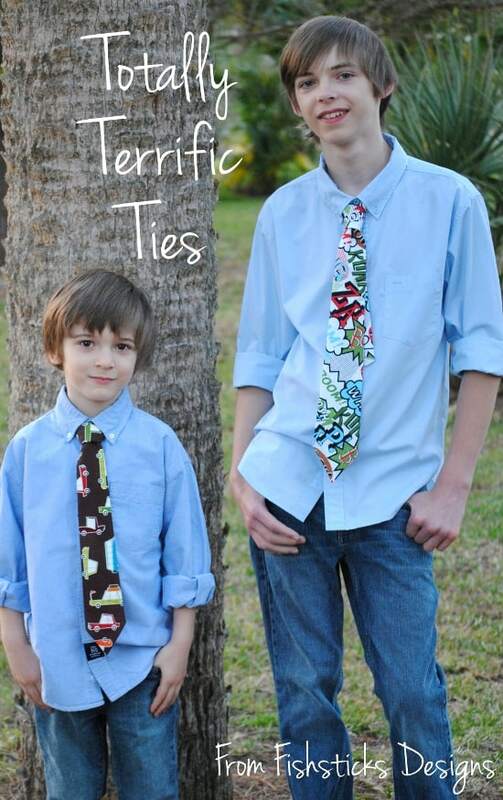 Perhaps you’ve got the adults and the babies in your family covered, but your other kids could still use some funky neckties for special occasions? Well, don’t stress just yet because you’re not out of luck and you won’t even have to alter a different pattern, which can be quite difficult. 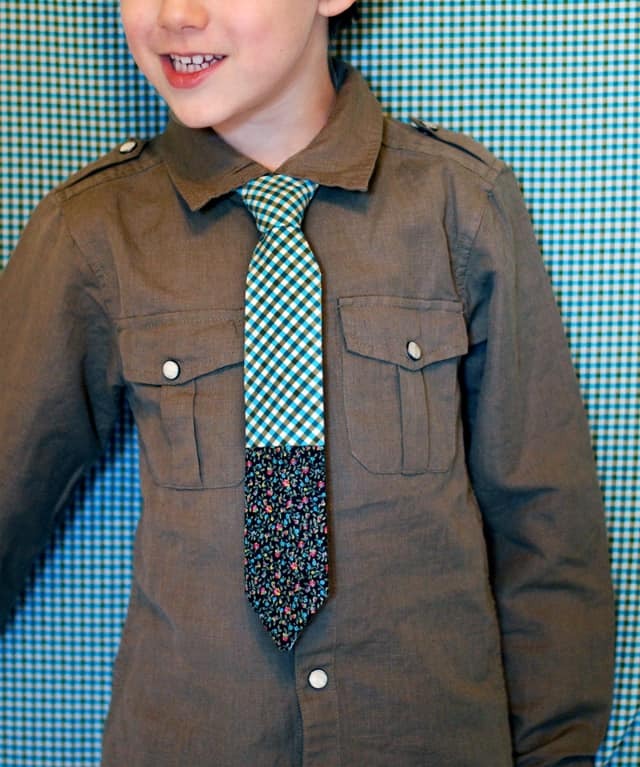 Instead, check out this kid-sized necktie pattern from Sewing Rabbit! Besides helping you get the size right, their tutorial will also show you how to do some colour blocking so that your kids look fun and bright while they’re dressed in their best, rather than looking way too adult and serious. When you sat down to make your own necktie, were you actually not quite prepared for the idea of literally making it from scratch? Maybe you had it in your mind that you’d simply be customizing a pre-made tie instead. Well, we think that’s a perfectly great project for you to tackle as well! Just to get your mind running on ideas, check out how Generation T used fabric paint and a stencil to design their very own patterned necktie. We like the idea of using both numbers and letters! Have you been scrolling through our list hoping to come across a design that’s a little more unconventional but also something you can make totally from scratch yourself? 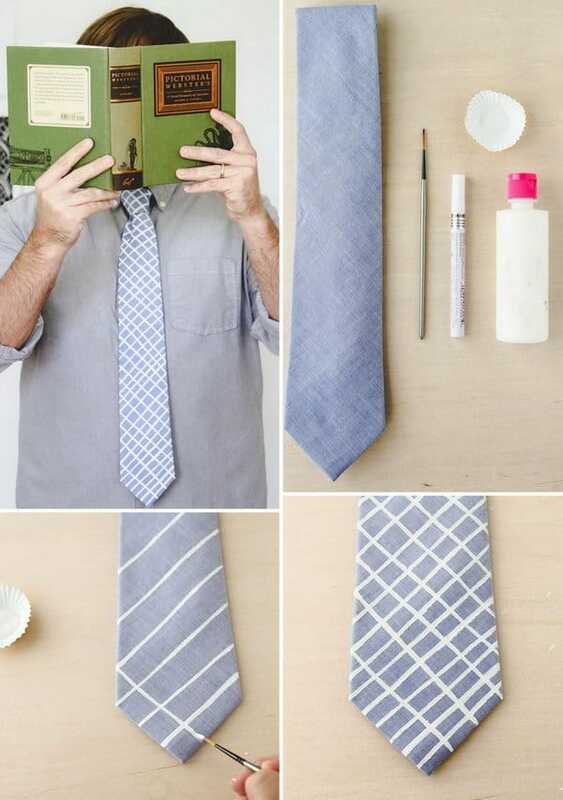 Then perhaps you’ll enjoy this extra stylish DIY tie option made completely from leather! 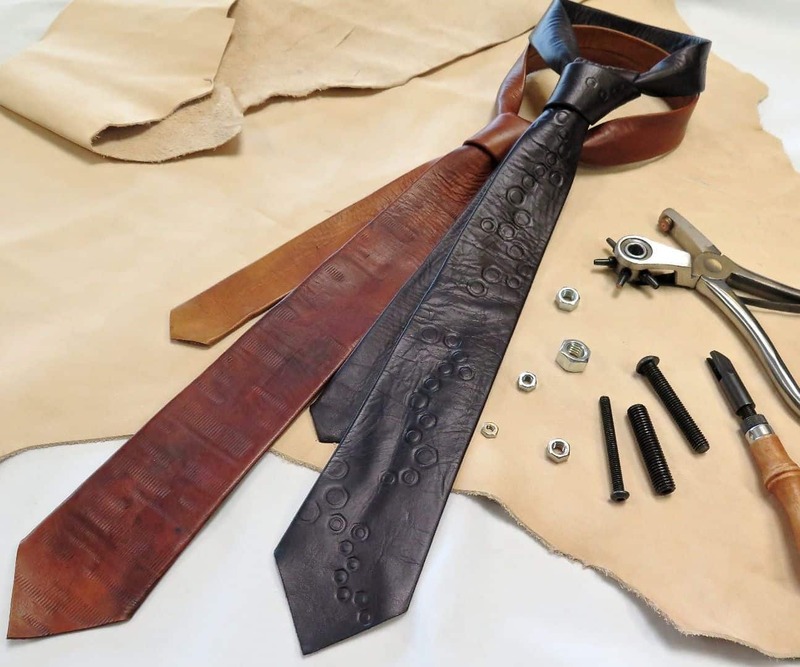 Instructables guides you through the process of not just measuring, cutting, and hemming a tie in the size you need from a sheet of leather, but also of customizing it with hand imprinted patterns. Are you the kind of crafter who loves making just about anything you can make in full size in miniature as well? Well, we can’t say we blame you; there’s just something about mini-sized things that makes us happy. 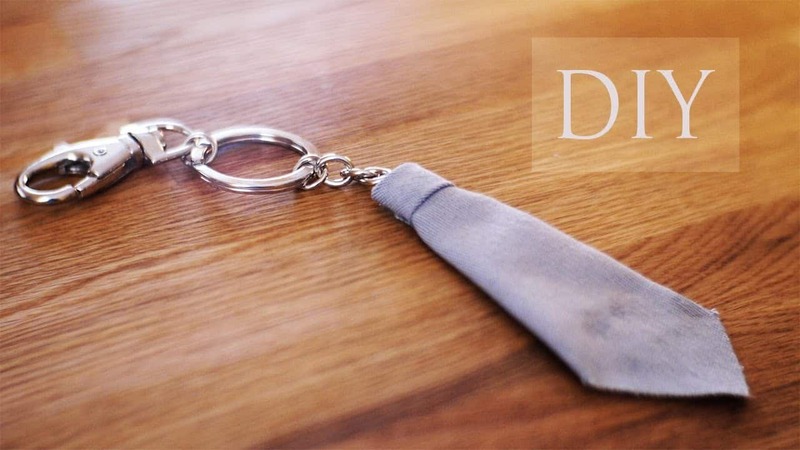 That’s why this adorable necktie keychain idea caught out eye! Rather than being something that you’d wear to a formal event, this cute little craft from Nekkoart is more like something you’d give at a formal event, like a wedding favour to your groomsmen. Are you planning on hosting a graduation party in your beautiful, sprawling back yard and you want to make sure both the setting and everyone’s appearances are absolutely perfect, right down to the family dog? 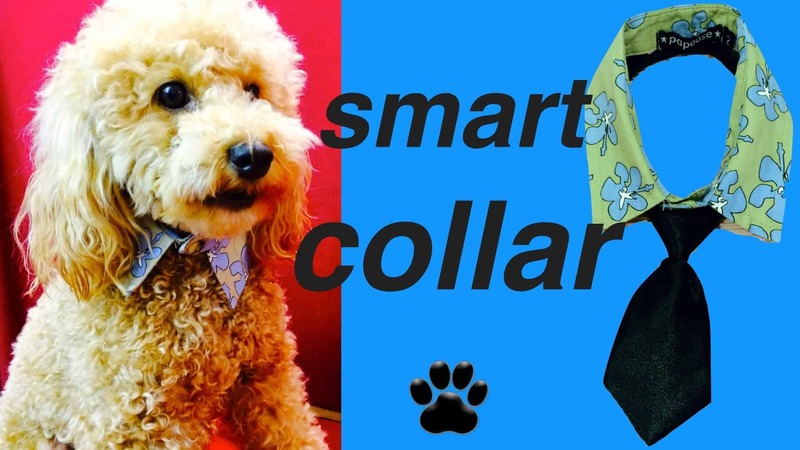 In that case, you’re in for some luck with this funny little shirt collar shaped dog collar! This tutorial from Cooking For Dogs shows you how to embellish a dog’s collar with fabric to make it look like the collar of a dress shirt, but there’s also an option for adding a little doggy necktie and that’s the part we’re really enamoured with, if we’re being honest. Whether it’s the groomsmen for your wedding or a whole group of your son’s friends who are all graduating together, sometimes it’s nice to have ties in a matching set, colour, or pattern. Coordinating those with dates, themes, or decor schemes as well as with each other, however, can be quite challenging. 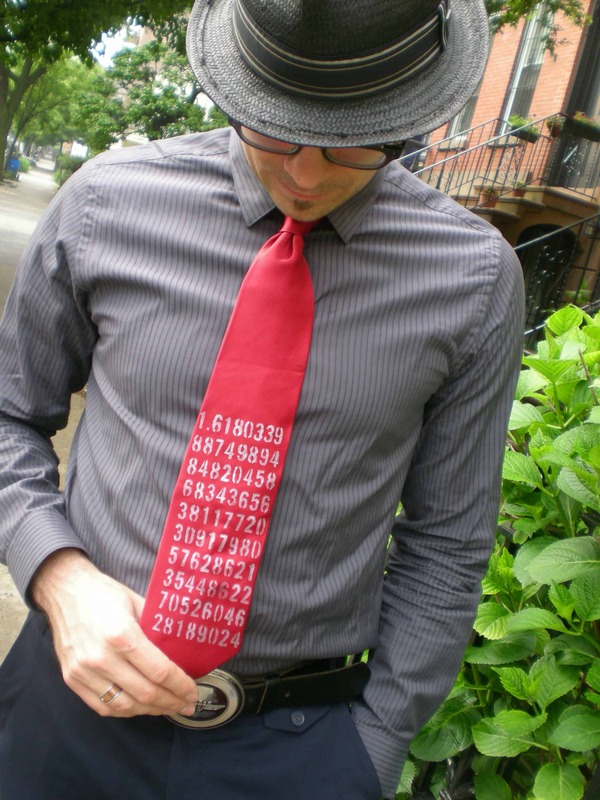 That’s why we loved this hand painted necktie idea from Craft Gawker so darn much! Rather than having to buy specifically matching things from the store, they suggest buying blanket white (black and other colours would also work) ties and hand painting them with the patterns, shapes, or colour combinations you need to get the look you were hoping for. Check out the tutorial to see how they kept theirs neat and tidy at the edges of each chevron! Perhaps you’re not actually feeling quite prepared to make your very own ties from scratch, but you’d still like to add at least a little bit of stylized flare to the ones your family members will already be wearing at the formal events you’ve got up and coming? In that case, maybe you’d rather find a cool, unconventional way to tie the ties you already have! There are actually a surprising number of alternative tie knots out there, but this one that looks double knotted is absolutely our favourite. Check it out on Blog Your Way to Antarctica . We’ve already show you great ways to both make a kid’s tie and to do colour blocking, but what if your little one has some pretty outrageous personal style at a young age and would rather something a little more flashy than what you’ve seen so far? In that case, we’d probably encourage you to follow suit with Sewing Rabbit and get creative with combining fabrics and patterns rather than just solid colours! We can’t take our eyes off this cool combination of gingham and florals. Are you actually on the prowl for tie tutorials because someone in your family is intent on looking dapper in a more old fashioned way this spring, rather than rocking their usual old necktie and jacket ensemble? Then bowties are absolutely where it’s at! That doesn’t mean, however, that you have to run out to the mall and drop a small fortune on brand new bowties for everyone. 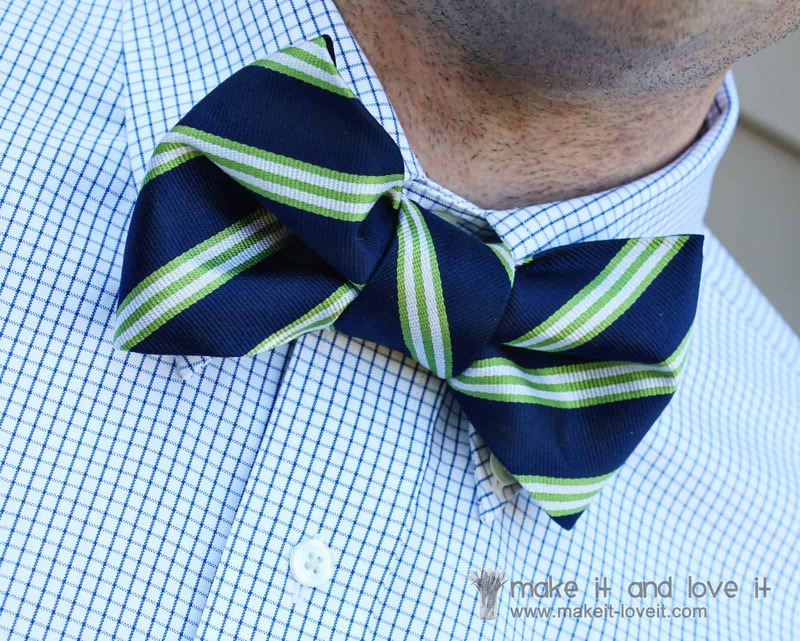 Instead, take a look at how Make It, Love It transformed their old neckties that weren’t being used anymore into awesome little bowties that look good as new! Were you intrigued by the denim skinny tie tutorial we showed you earlier but you’re just not sure that your beginner sewing skills are quite ready for the challenge that is working with denim? In that case, perhaps you’d prefer this tutorial instead! Properfit Clothing Co outlines step by step the process of making a DIY skinny tie from scratch, nice and simple with no difficult fabrics or bells and whistles. We like this project as a learner’s project and we actually taught one of our kids to make their very own ties using this guide. Have you been thinking about joining the necktie clad crew that the rest of your family will be at special occasions this spring but you’d still like to keep that glamorous, girly element that you love so much about getting dressed up for parties, ceremonies, and dinners? Then we think we might have found the perfect compromise piece for you! 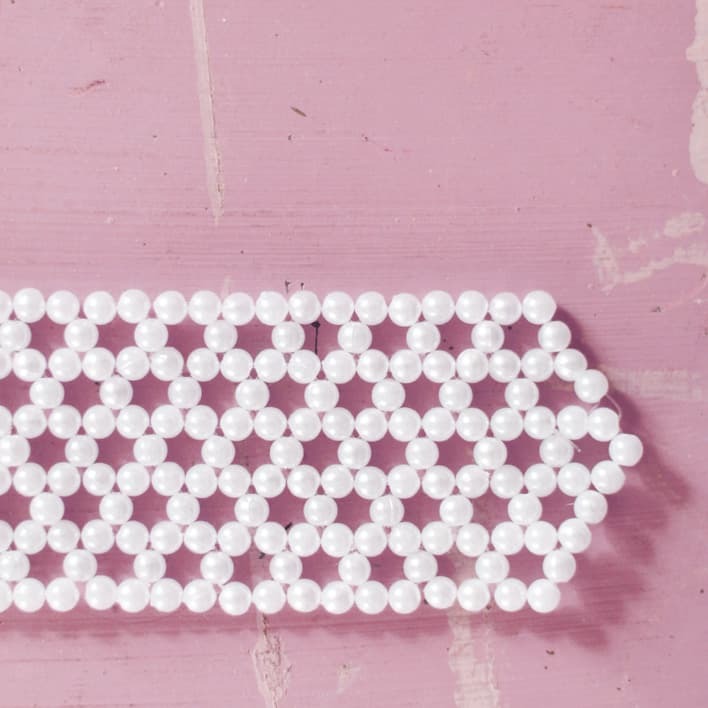 Check out how Make Nice in the Midwest created a pretty beaded necktie necklace, hand beaded using simple plastic pearls. We think this would look lovely with a brightly coloured spring cocktail dress or a pretty collared blouse! Have you been on the hunt in countless stores for a tie in a particular colour combination and pattern but you simply cannot find what it is you’re looking for? We always feel frustrated in those scenarios because we often find ourselves suddenly thinking “I could just make this”. Well, that’s when we stop to realize that our hunt is over because, in fact, we really could just make what it is we’re having trouble finding! 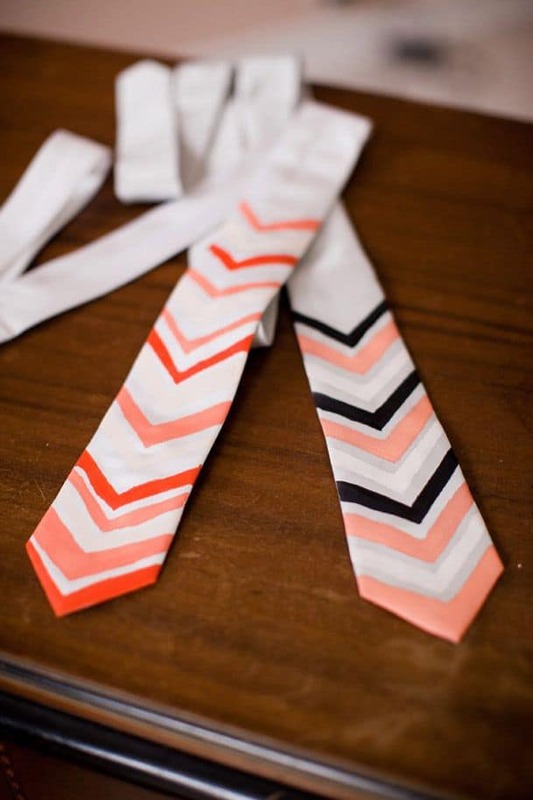 That’s how we came across this simple hand painted criss-cross tie idea outlined on Momtastic. We followed their tutorial step by step to get the unconventional graphic tie we were looking for (only our version was pink and blue with some of the squares filling in)! 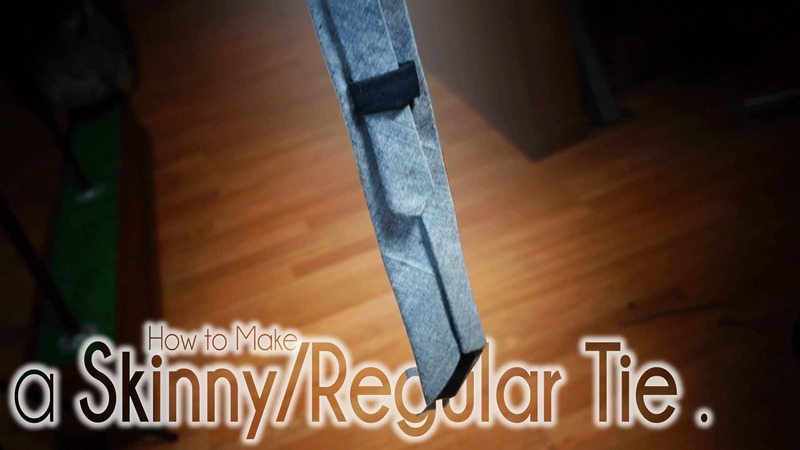 Despite the fact that each of these tutorials has shown you a totally awesome finished product, are you still intent on simply learning how to make a tie that’s easy and basic in its construction, even though you’d like it to feature bright colours, patterns, and maybe even pictures? In that case, we think we’ve found the best tutorial for you to start learning from! Check out how Hem Me In made standard sized homemade ties in just a few very simple steps, but also take note that they didn’t let their basic shape and method stop them from making the ties look very exciting too! Use whatever pattern and design of fabric your family members like most. Have you made other awesome DIY neckties before that made great gifts and, even though you like the designs we’ve shown you, you don’t see anything quite similar to yours on our list? Tell us all about how you made yours or link us to photos of the finished product in the comments section!